“Texas is not in doubt; your country needs YOU to reach out to voters in swing states to VOTE their VALUES! Come and be inspired to WIN!" 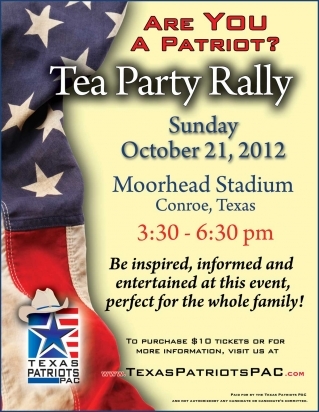 Julie Turner, President of the Texas Patriots PAC, is excited about the Tea Party Rally in Conroe on October 21st. “This is a great opportunity for us to come together and show our love for our country and our commitment to it. Instead of sitting at home watching more political ads, we will be inspired, encouraged and informed by people we hear actually speaking to us personally, not to a camera. The Rally will be held on Sunday, October 21 (TODAY) from 3:30 until 6:30 pm at the Moorhead Stadium in Conroe. Tickets are $10, and are available online or at the door, rain or shine. 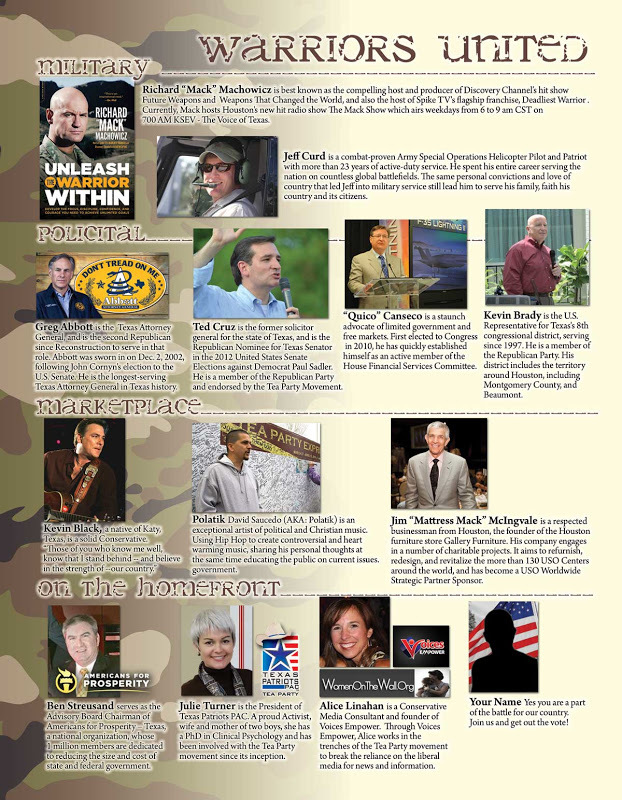 For tickets and more information, visit www.texaspatriotspac.com.